The Walt Disney Co. and Netflix Inc. today announced an unprecedented deal for Marvel TV to bring multiple original series of live-action adventures of four of Marvel’s most popular characters exclusively to the world’s leading Internet TV Network beginning in 2015. This pioneering agreement calls for Marvel to develop four serialized programs leading to a miniseries programming event. Daredevil was created by writer-editor Stan Lee and artist Bill Everett, with an unspecified amount of input from Jack Kirby and first appeared in Daredevil #1 in April 1964. Living in the Hell’s Kitchen neighborhood of New York City, Matt Murdock is blinded by a radioactive substance that falls from an oncoming vehicle. While he no longer can see, the radioactive exposure heightens his remaining senses beyond normal human ability. His father, a boxer named Jack Murdock, supports him as he grows up, though Jack is later killed by gangsters after refusing to throw a fight. After donning a yellow and black, and later a dark red, costume, Matt seeks out revenge against his father’s killers as the superhero Daredevil, fighting against his many enemies including Bullseye and the Kingpin. 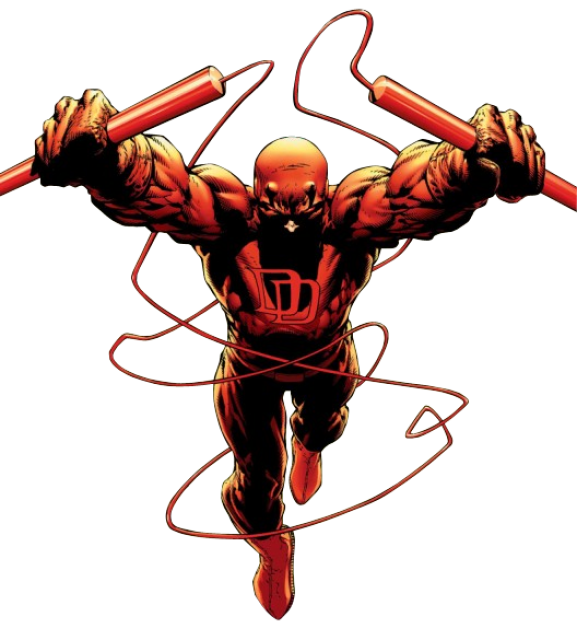 Daredevil’s nickname is “The Man Without Fear”. Jessica Jones was created by writer Brian Michael Bendis and artist Michael Gaydos. 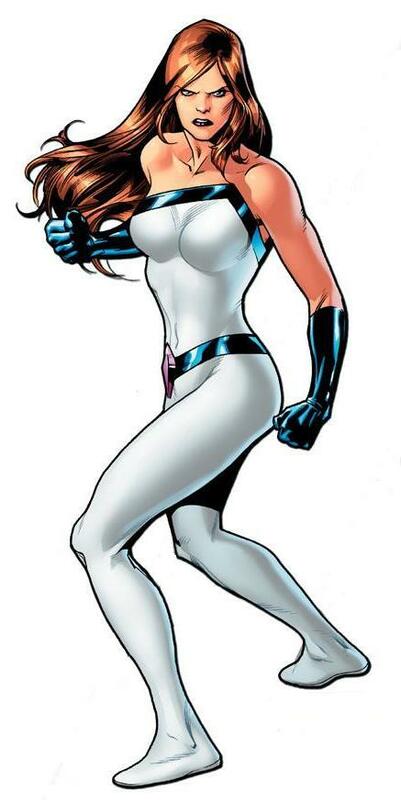 Jones debuted in the series Alias as an embittered former superheroine who had used the aliases Jewel, Knightress, and currently Power Woman. After hanging up her costume, she became the owner and sole employee of Alias Private InvestigationsJones, no longer a superhero, opened a private detective agency. Given her background, she was sought out by clients with superhero connections. Despite her wishes to leave the superhero life, she finds herself repeatedly drawn back into it. She has had an off-and-on affair with Luke Cage. 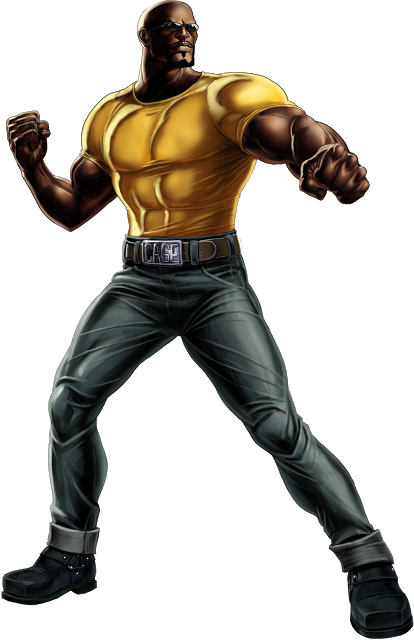 Luke Cage (born Carl Lucas and also called Power Man) was created by writer Archie Goodwin and artists George Tuska and John Romita, Sr.. He first appeared in Luke Cage, Hero for Hire #1 in June 1972. He obtained his powers in an accident that left him with near-impervious skin and superhuman strength. A streetwise youth, the man called “Lucas” was sent to prison for a crime he did not commit. In exchange for parole, Lucas clandestinely underwent an experimental procedure, originally intended to generate immunity to all illness; instead, it inadvertently granted him steel-hard skin and heavier, enhanced muscle. After escaping Seagate Prison, he forged the identity of “Luke Cage” becoming a “hero for hire,” a sort of super-enhanced private detective—although Cage commonly refused money, or simply received none, for cases gone awry (a fair portion, for the unlucky Cage). Later, he formed a business partnership with the martial arts hero known as Iron Fist in the series Power Man & Iron Fist. 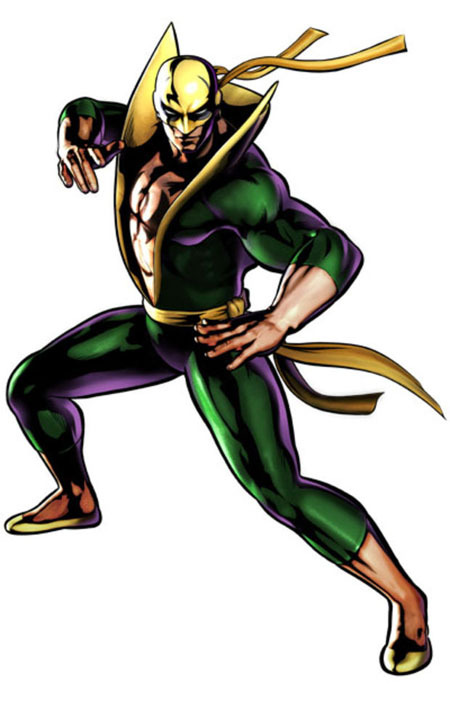 Iron Fist (Daniel “Danny” Rand-K’ai) was created by Roy Thomas and Gil Kane and first appeared in Marvel Premiere #15 in May 1974. The practitioner of martial arts starred in his own solo series in the 1970s, and shared the title Power Man and Iron Fist for several years. At age nineteen Rand was given the opportunity to gain the power of the Iron Fist. He was sent to battle the enormous fire-breathing serpent called Shou-Lao the Undying which lived in a cave outside the city and which ferociously guarded a brazier containing its heart, which had mystically been removed from its body. In their battle Rand grabbed the serpent’s body, which bore a scar which imprinted itself upon Rand’s chest. Killing the serpent, Rand plunged his hands into the now unguarded brazier containing Shou-Lao’s molten heart when his hands shone with a quasi-mystical force and he earned the title “Iron Fist,” for he could now summon superhuman energy to reinforce the power of blows struck by his hands. This is the street equivalent of The Avengers. Its original incarnation was led by Doctor Strange and included the Hulk, Namor, and, eventually, the Silver Surfer. They first appeared as The Defenders in Marvel Feature #1 in December 1971. The group has had a rotating line-up with Dr. Strange and the Hulk being more or less constant members along with a number of other mainstays such as Valkyrie, Nighthawk, Hellcat, the Gargoyle, Beast, the Son of Satan and Luke Cage, and a large number of temporary members. Tagged Daredevil, Iron Fist, Jessica Jones, Luke Cage, Marvel, Netflix, The Defenders, The Walt Disney Co.